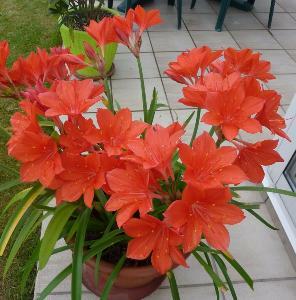 Plants to Plant with Red, scarlet or flame coloured Flowers - But Direct from PlantsToPlant. 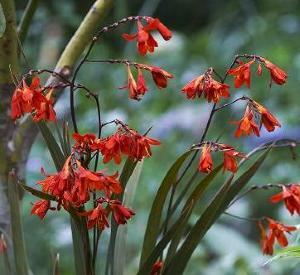 ‘Red Hobbit' is a compact version of the popular Aquilegia ‘Crimson Star'. 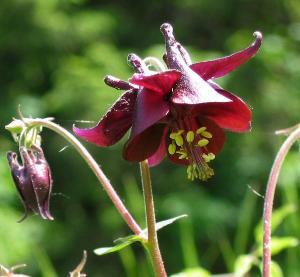 This is a low-growing, bushy, clump-forming columbine that typically rises to only 30-40cm tall when in flower. 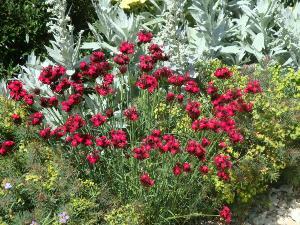 Large, up facing, long-spurred, two-tone flowers with star-like, creamy white corollas and with crimson red sepals and spurs. Bushy yellow stamens add a third colour. 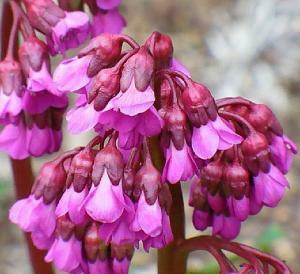 It flowers in late spring. The almost fern-like, basal green foliage with a bluish tinge is somewhat suggestive of Thalictrum.